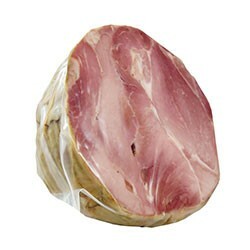 Supple and fragrant with a beautiful pink color and never too fatty. 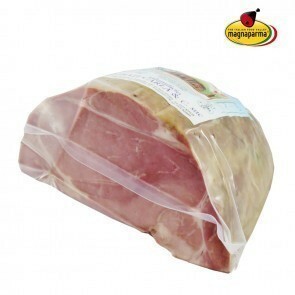 Spalla Cotta is a cold cut that is typical of the Parma region obtained from the shoulder blade of the pig. 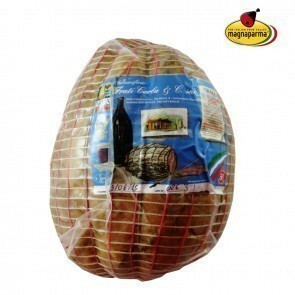 It is prepared by hand in the town of San Secondo. Processed and salt-cured, it is left to rest two weeks in a cold environment. Tied and aged for a few more weeks, it can be eaten both hot or cold. 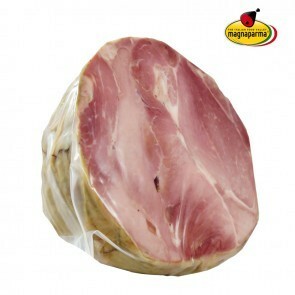 Just cut slightly thick slices by hand and accompany it with good homemade bread or torta fritta (fried dough), another specialty from the province of Parma. You’ll experience the flavor of a genuine artisanal cold cut, made with lots of love.